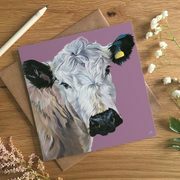 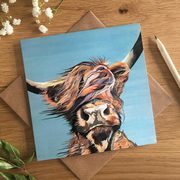 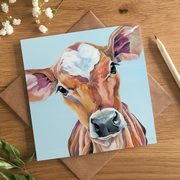 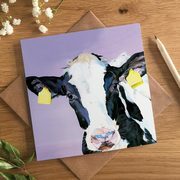 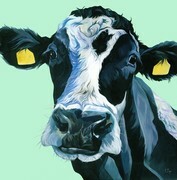 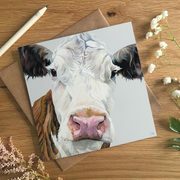 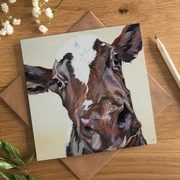 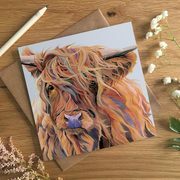 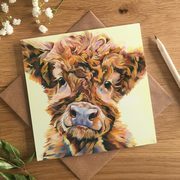 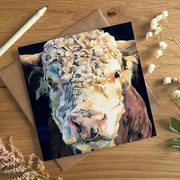 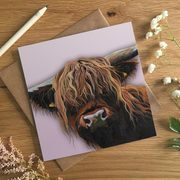 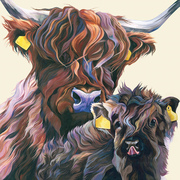 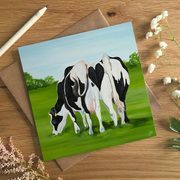 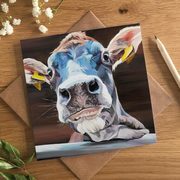 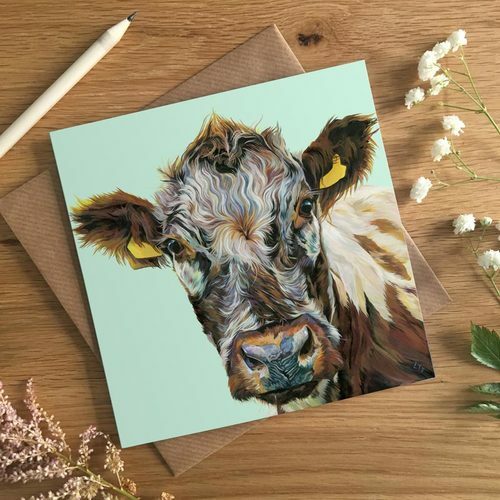 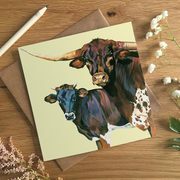 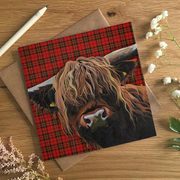 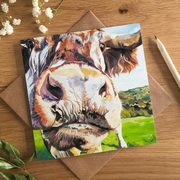 'Clover' blank art card full of colour for cow lovers! 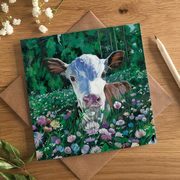 This art card of Irish Moiled Clover has all the colour, detail and character of the original painting. 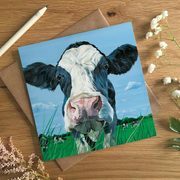 Send a work of art to loved one to make their day!